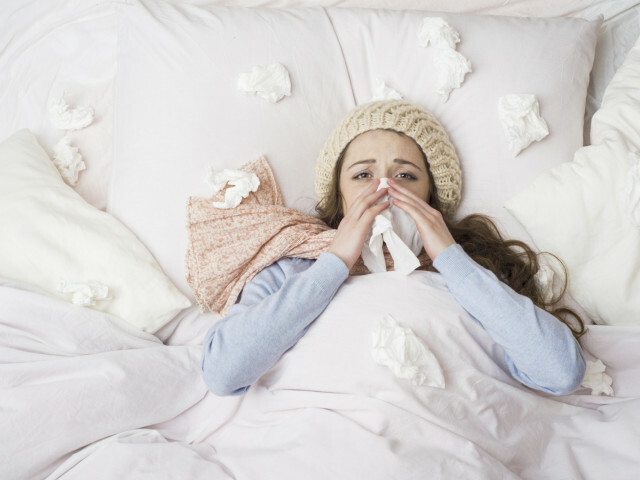 Generally speaking, a fever means an increase from your normal body temperature of 98.6°F to as high as 104°F. It is usually accompanied by symptoms like headache, stomachache, chills, shivering, discomfort, inability to eat much food, weakness, a running nose, etc. Fevers are a hassle. But they also are an excellent way to get out of sticky situations or even getting things done for you, right? So for whatever reasons, you might want to know some secrets on faking a fever. Now you can do all the things mentioned below or just 2-3 of them. It really is up to you as to how dedicated you are. Wear long sleeved shirts, full pants, and clothes of materials that are usually left to be worn in winters like faux wool. Nylon, silk and synthetic materials are also great to wear as they restrict the movement of air interaction with your body. You can also work up some sweat by doing some light cardio or warm up exercises. Cover yourself in a thick blanket till you begin sweating. Take some warm water, fill it in an empty spray bottle like with a very small nozzle and lightly sprinkle it on your forehead and neck. Spicy food: This includes high amounts of jalapeno, chillies, peppers, Tabasco sauce, Mexican or Indian food, etc. Food that’s literally hot: Hot soup, tea, coffee, stew or any other liquid that can be drunk hot. The first thing that people usually do when you tell them you have a fever is to check your head. For that, take a clean cloth, pour some warm water on it, wring extra water out of it and then place it on your forehead. The cloth will cool quickly, so make sure you keep wetting it with warm water again and again till your forehead becomes warmer. If you use this method you should make sure your forehead isn't all wet or others might suspect you are faking it. Another way of increasing your forehead or face temperature is going near a tube light, bulb or even a fire and getting your face as close as possible to it without hurting yourself. Your face will warm up very quickly. If your thermometer has mercury in it, then you can put it inside a hot cup of water and let it remain there for 20 seconds or so. Make sure the water is not boiling. Mercury is very sensitive to changes in temperature and you may end up ruining your thermometer if the water is too hot. Use the heat of a light bulb, not the CFL kind. Hold your thermometer near one for 15 seconds and you’re good to go. You can even use a blow dryer, but make sure it’s on the lowest setting. If you have nothing by your side, simply rub the tip of the thermometer in between your hands to get the reading you want. Wake up early and make sure you prepare your body by increasing its temperature. Then sleep late and let your parents wake you up. And when they do, tell them that you are feeling cold, not hot. Your mother’s first instinct will be to touch your forehead, to be prepared! When having a fever, people tend to lose appetite. So eat as much as you want in private but when in the company of others, make sure you’re constantly refusing food. Just stick to liquids. Have a tired look on your face and keep your eyes half open from time to time. This adds to the image of you suffering from a fever. Every couple of hours, mention that you’re getting shivers. Creating fake shivers is easy – simply tighten your leg or arm muscles and stay like that for 30-60 seconds. Your will notice automatic shivers in your body. Mention that you have a mild stomachache and/or a headache. Drink lots of water because people who have a fever often suffer from dehydration. For added measure, add a little black or brown, depending on your skin tone, eye-shadow or even lip liner underneath your eyes to give the appearance of dark circles. Make sure you don’t just jump the guns and start “displaying” all symptoms at once. That will make your parents suspicious. Talk about not feeling okay first, then a headache, then a stomachache…. All within a span of a few hours. 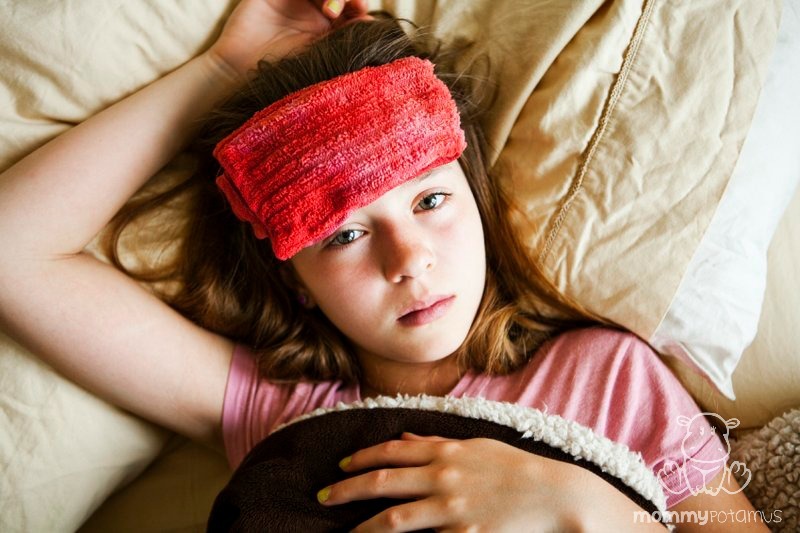 With all the tips and secrets in mind, you definitely should know how to fake a fever now. So good luck.